is the Judge who sits on the bench in their local community. Every customer is equal: they are all awesome.It doesn’t matter if the customer’s t-shirt has a mustard stain on it, if their fingernails are dirty, or if they pulled up in a 20-year-old vehicle. Every single customer must be treated as if the future success of your business depends upon it because ~ news flash: it does. If your team tends to pick-and-choose the customers they decide to be nice to, patient with, or respectful of, guess what? Those poorly-treated and dismissed customers are going to know that. They are going to feel that. And they are not only going to head straight to your competitor down the road, but also tell all their friends and family about how they felt during their experience at your dealership. Word of mouth advertising is still the best form of advertising in the world. So, teach your staff to act as if they are truly grateful for and happy to be of service to every single customer until it simply becomes natural for your staff to treat others exactly how they would hope they’re grandmother would be treated when she goes shopping for a big-ticket item. Become a company that has a reputation for top-notch customer service. Customer-oriented companies focus on the details that others notice. Sometimes it’s difficult to appreciate the forest when you’re amidst all the trees. Companies that are successful at consistently providing customer service get outsiders to help them see (objectively) what they simply can’t. They have friends, family members, and acquaintances stop in at their dealership and their competitor’s to compare how they are treated, to identify what works, and to address what needs changing. While the feedback may not be everything you had hoped or thought, you can use that information to improve what an objective person, a potential customer, might be turned off by. Focus on details beyond the simple meet-and-greet step. Have a “secret shopper” call your dealership to complain about the service they received in the service department or the way a salesman treated them because they didn’t have a pristine credit report. Chances are, your staff member will not handle that complaint call as smoothly, sincerely, and calmly as you would. Teach your team that complaints are a 2nd chance and getting things right. When customers just walk out and never come back, never call, and never share a concern, no learning can be done and no improvements can be made. Customer-focused companies listen attentively to their customers’ verbal and non-verbal cues. 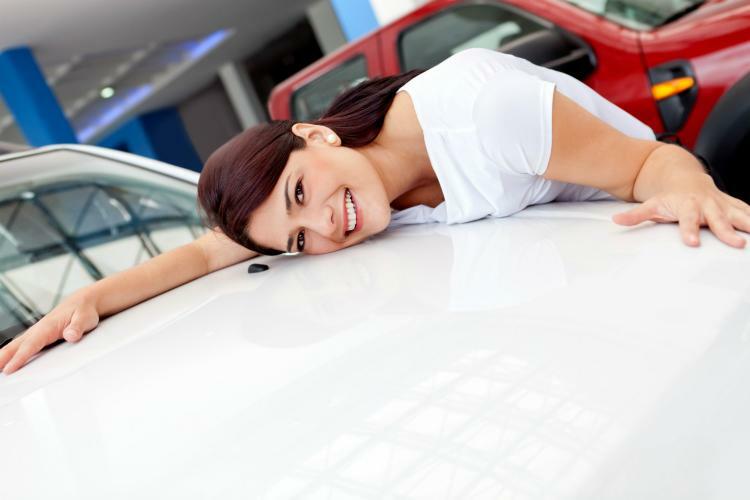 It doesn’t make a difference if the fully-loaded SUV on your lot offers the best incentives and rebates for the month if you customer is a young, single, college student looking for a dependable, affordable compact car. You are not trying to move the vehicles off your lot as much as you are striving to find just the right vehicle for each customer. If a customer is with a spouse who is using a cane and seems to be uncomfortable when walking distances, that’s a non-verbal cue. Your sales associate should not be having them walk through your vast lot of hundreds of vehicles; instead, once their exact needs are identified while sitting at a table, you can have that ideal vehicle brought closer to the door. If a customer states they don’t have a lot of time, respect that and don’t waste time chatting about topics the customer doesn’t bring up first. Teach your staff that they can only learn when they are active listening; it’s impossible to learn and talk at the same time.